Prerequisite: PG Cert Contemporary Restorative and Aesthetic Dentistry (LEVEL I). 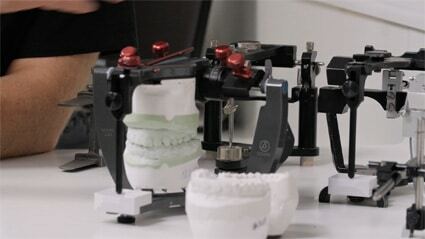 Post graduate diploma dentistry courses include articulator features and use. 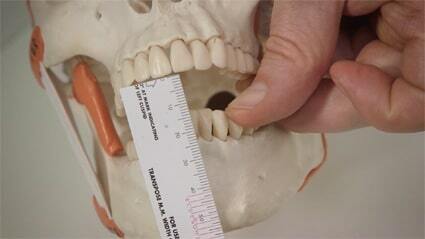 Occlusal examinations are explained in our postgraduate dental courses. Contemporary restorative and aesthetic dentistry advanced courses are designed to give you the confidence to tackle more complex cosmetic and implant cases by offering case mentoring as part of the Diploma. There will be numerous treatment planning exercises and in depth discussion of clinical cases as well as practical occlusion exercises. Q Do I have to present a clinical case? Advanced course students are encouraged to bring a case to present on the final day of the course. This does not have to be a case you have treated. The purpose of the case is to demonstrate diagnostic and treatment planning skills in aesthetic, restorative or implant dentistry. Students are encouraged to bring cases during the course for discussion. Q What are the entry criteria to complete the Diploma? Q Is there an examination? Yes, in the form of MCQ questions. Q If I don’t sit the examination will I still obtain a Diploma? No but you gain a certificate of Level II completion. Mentoring is provided on study days during the course. After the course online mentoring is provided (at a small additional charge). Q Do I have to submit clinical cases to be awarded the Diploma? Yes a portfolio of 6 cases is required for the Diploma, but you can still undertake the course without submitting the cases and gain a certificate of completion. Q Who awards the Diploma? The Diploma is awarded by the educational organisation BAARID – BRITISH ACADEMY AESTHETIC RESTORATIVE AND IMPLANT DENTISTRY. The BAARID awarding committee has experienced practitioners all at master’s level or above and covers the specialisms of Oral Surgery, Orthodontics, Restorative, Periodontal, Endodontic and Periodontal Dentistry. It is more educationally robust than any other private institutions and many universities.